Disclosure: I was not financially compensated for this post. I received the product mentioned below for review purposes. All opinions are my own. I'm a big scarf collector. Yeah, at first I was kind of resistant to the scarf craze. I thought it was weird to wear a scarf in the Summer. Well, things change. Opinions change. Flash forward to present day and I've got so many scarves I've had to buy those special hangers that hold a bunch at a time. One of my absolute favorites is my sunny yellow Dottie scarf from FRAAS. Seriously, though, who wouldn't love a happy yellow scarf? This one is particularly adorable due to the white polka dots scattered throughout. As you already know, FRAAS makes some of my favorite scarves (see previous posts here, here, here & here) and this one is no exception. I mean, check out all the cute ways it can be styled! The unfinished edges are an added bonus, as I think it adds a bit of 'edge' to the design. Scarves are such a versatile accessory. The can replace a necklace, be used as a headwrap or bandana, even used as a wrap. The scarf is actually pretty long, measuring at 28" x 76". In case you're wondering, this beautiful scarf is style #625827 & retails for $32. FRAAS scarves are sold worldwide. You can also buy them in department/specialty stores as well as online (FRAAS or Amazon). Another available option is ordering through the phone (212-575-0191). 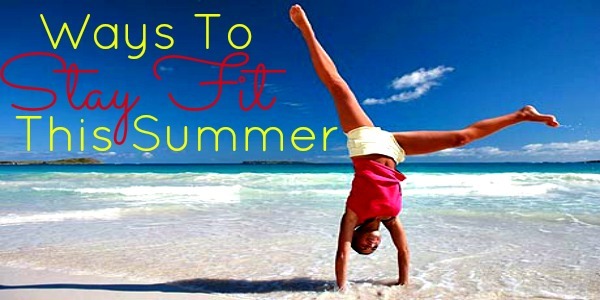 Ways To Stay Fit This Summer! While it's already hot, Summer isn't even here yet! It's only going to get hotter, which means vacations, BBQ's, outdoor parties, swimming...and you only want to look your best, right? If you want to make the most out of Summer activities, you need to be fit. Physical health is important! There are a lot of different options out there but I've been trying the HCG Diet. You can check their website for more product information as well, just click here. ••As with any diet, it's important to consult your doctor. This will keep you out of harm's way and add a boost of confidence to help you on your way. ••Staying hydrated is of the utmost importance. When working out, it's vital to keep your body hydrated. Try to drink at least 6-8 glasses of water per day. I know it sounds like a lot but it is a critical component to weight loss. ••Motivation is key. Make sure to set realistic goals. Setting a goal that is not only impossible but possibly detrimental to your health will most likely make you crash and burn. You must set healthy, attainable goals in order to succeed. Positive thinking is a must. Setting goals that are achievable will only aid in that. ••Cut out the bad. Start by eating a healthy breakfast. Eating breakfast jump-starts your metabolism and fuels your body for the day. Try to avoid processed foods as well as those that contain a large amount of salt or sugar as these are not conducive to weight loss. ••Be prepared. Pack snacks to eat throughout the day. Fresh fruit & veggies are a great way to go. Mixed nuts will also give you a great protein boost. You can even suppliment your snack with a small serving of peanut butter or low-fat cheese! ••Don't cut yourself off. This is important. If you quit sugar cold turkey, the chances of a big relapse are pretty huge. I'm not saying go out and eat a box of Twinkies, but treating yourself every once in a while to a sweet snack isn't a bad thing. Try a few bite size candy bars or those 100-calorie packs of cookies if you're feeling the itch, but remember self control is key.